An impostor pretending to be Heath Ledger’s father fooled Tom Cruise into consoling him over the phone  and nearly got John Travolta to buy him a plane ticket to the United States, sources told the New York Post. The con artist also tricked the Frank E. Campbell Funeral Home in Manhattan, where Ledger’s body was held before being flown to Los Angeles, into booking him and his “family” rooms at the Carlyle hotel nearby on Madison Avenue, sources told the Post. 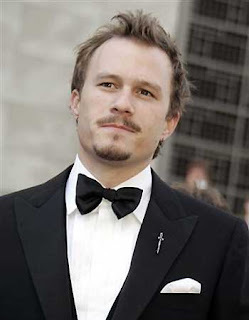 The man falsely claiming to be Kim Ledger also spoke on the phone with the doctor who performed the autopsy on the “Brokeback Mountain” star, a spokeswoman for the Medical Examiner’s Office confirmed for the Post. Cops want to arrest the scammer on fraud and larceny charges, and sent detectives to Ledger’s wake at the funeral home Friday in hopes of catching him, New York City Police Commissioner Ray Kelly told the Post. But police do not know the identity of the impostor, who “had a couple of conversations with” Tom Cruise asking for emotional support, a source told the Post. Cruise abruptly cut him off when he learned “he was an impostor,” the source said. Ledger, 28, was found dead last Tuesday. A cause of death has not yet been determined.I get the desire to screw with Tom Cruise… but this is not the way to do it, shame on this man! Casey Calvert‘s death has been ruled an accidental overdose by the Washington, D.C., medical examiner’s office . Members of the pop-punk band Hawthorne Heights swore that he had no drugs in his system when he died in his sleep while on their tour bus. Casey was just 25 and recently married when he was found dead on November 24 before the bands concert. The overdose was caused by the combined effects of opiates, an antidepressant and an anti-anxiety medication. Those antidepressants are bad news!! 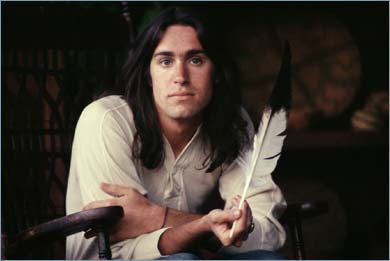 Dan Fogelberg, one of the most popular singer/songwriters of the ’70s and ’80s, died Sunday at home in Maine at age 56. He was diagnosed with prostate cancer in 2004 and lost his battle on Sunday. Fogelberg was a key component of the golden age of the confessional singer/songwriter, joining the likes of James Taylor, Carole King, Jackson Browne and more in turning pop music’s focus inward after the ’60s’ explosion of social commentary. 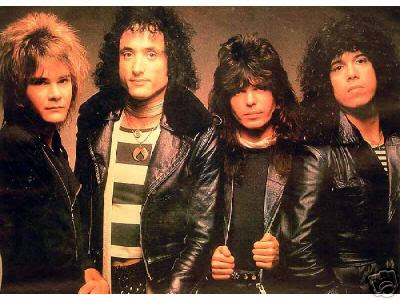 He had started as a rocker in bands around his hometown of Peoria, Ill., but began performing solo while attending the University of Illinois. One of his best songs is “Leader of the Band”, which was written for his father Lawrence Fogelberg who was a musician, educator, and band leader. Dan was so gratified that he was able to give him that song before he passed on. In his final years he was interviewed many times by the national press because of it.